We have already referred to purchasing Ripple XRP which hundreds of followers and readers have bought. But an important group of people faces different issues such as some means of payment available to them are not mentioned previously, or they need a way to sell this digital currency. After a long search and check, we have found another platform that offers buying and selling of this currency in one place through PayPal and different means of payment, including Visa, MasterCard and bank transfer. But of course, the fastest way is to use PayPal in the buying and selling operations since those operations are conducted online and do not take long time. We are talking about Coin Portal or Cointal platform, which runs its operations from London, and supports the Middle East and North Africa as well as the rest of the world. After access to the platform from here, you will have to click on the registration button indicated in the image at the far right of the upper bar. Choose your USERNAME, type your email and repeat it, and also type a good password and type it again for confirmation. You must confirm that you are not a robot and then click registration. Head to your email and confirm registration by clicking on a link you’ll find in your inbox. Then you will be directed to your profile settings on the platform. You can enter your name and your bio in case you want, to confirm your credibility as it is the most important on the site. 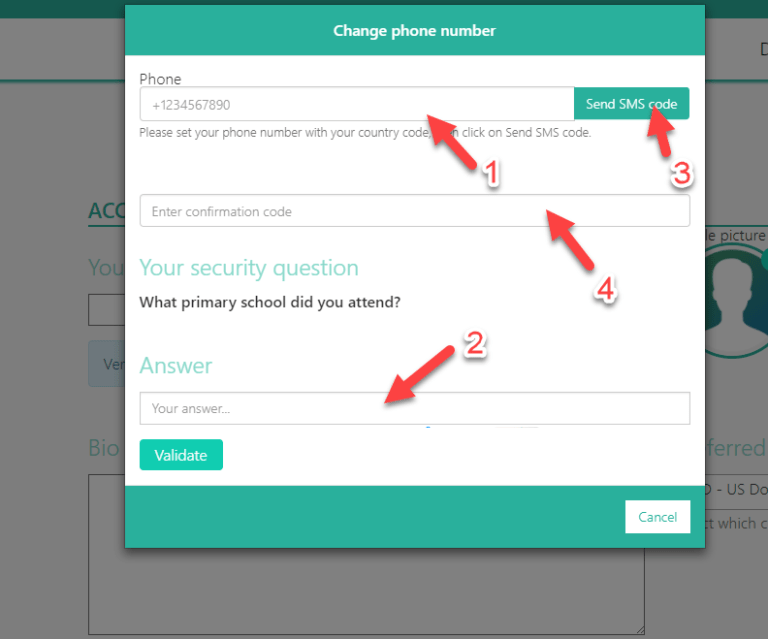 The next step is to click Set answers to set your security question, which you have to remember because you will need it shortly in the future! After doing so, you will proceed to confirm the phone number. 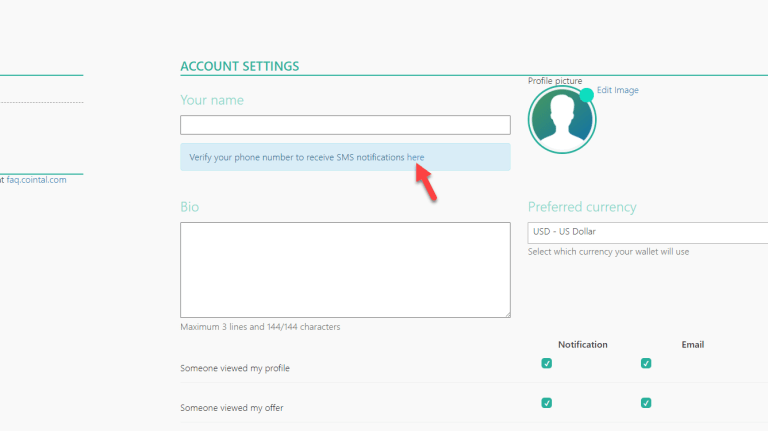 It is necessary before making any sale or purchase on the site, so click on here as shown in the image to get into the phone confirmation box. In the beginning, place your phone number with the code of the country you live in. For example, India we put +91 in advance, Egypt +20 and United States +1. Then enter the answer to the security question, you previously specified in the same window, and then press Send SMS. 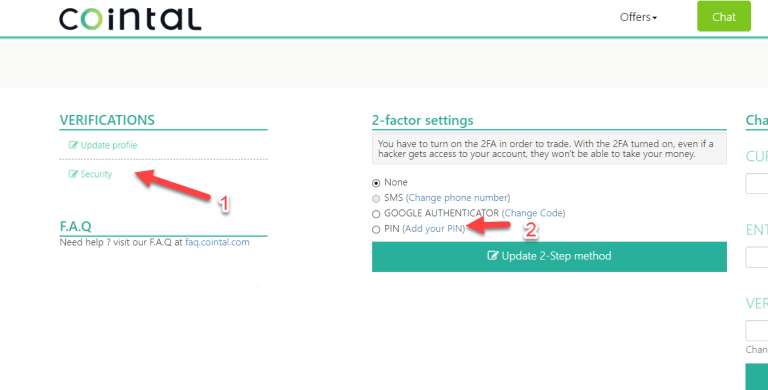 In less than a minute, you will receive SMS on your phone containing the PIN code, you should enter, and then the phone verification window will disappear. Reload the page to show that the phone verification window disappears. Then 2-step verification is required, otherwise you will not be able to make any sale or purchase. It also will serve the protecting of your account. We will assign a PIN that you must enter a 5-digit code of your choice and you must save it as well as the security question and password. After entering, the window will disappear and then click the green button. We have finished the configuring of the account as well as the entering and confirming the data as well, and also we can sell and buy digital currencies, supported by this platform, including Ripple (XRP). Then go to the offers section “Buy and Sell” as the image. Choose whether you want to buy or sell and choose the currency. In this case it will be Ripple Coin (XRP) that its symbol is in the far right. 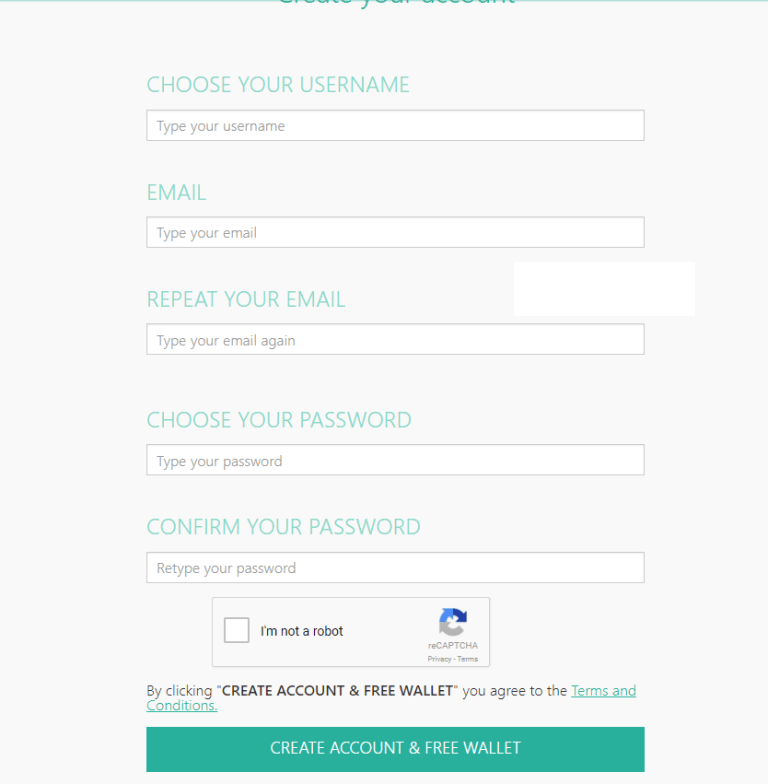 Choose the payment method which will be PayPal or any other method you prefer. Choose the currency you will deal with, which will be the US dollar in order to buy and sell with foreigners, especially since most of those on the platform are foreigners and you can deal easily with them, and then click the search. In this case you will have two offers to buy this digital currency. you should focus on two concerns; the first is the minimum and higher amount you can spend in total to buy from the bidder. The second is the purchase price of this digital currency, which is usually higher than the market price. The current price of the riyal is $1.20 and, as we can see, the lowest purchase price is $1.84. Those concerns should be emphasized on selling the currency, as you will find the quantity that the bidder can buy from you, and the price he want to buy. If you want to buy a certain quantity not available on the platform or sell at the best price you specify, click Offers and then Create to create the offer as you want to buy or sell and specify the rest of the details. Buying or selling is very easy. In general, this platform limits the scope to any seller or buyer trying to impersonate others or use the platform for malicious purposes. So there is no need to fear. We prefer to deal normally with someone who has a profile with several testimonies of good dealings with others. When you determine the amount you want to spend for the purchase of Ripple XRP, which must be within the limits set by the seller, click the buy button. You will be directed to a page that gives you a period of time to complete the transaction that can be up to an hour, and you can communicate with the seller as it is necessary to make him know the details of the purchase + address of your wallet. You will find the PayPal address of the other party, which you have to send money to in order to get the amount you want. Then click the “money paid to the seller” button or cancel in case you want to undo the agreement of this transaction. It is a great platform from which you can buy and sell Ripple XRP by PayPal, MasterCard or Visa easily. We explained all the different steps, especially account configuration, verification problems and important data that you should remember. By following those steps you will succeed in trading of this currency. It’s an awesome guide for me Thanks for share this Helpful method of Buy Ripple with PayPal.